Many families have at least one black sheep, and plants are no exception. Asterids are particularly notable on that count, as among the celebrated members of its sort, such as coffee and tomatoes, lurk the deadly flowers that yield strychnine and curare. Researchers at Oregon State University and Rutgers University recently learned the family's darker side has a very, very long history. 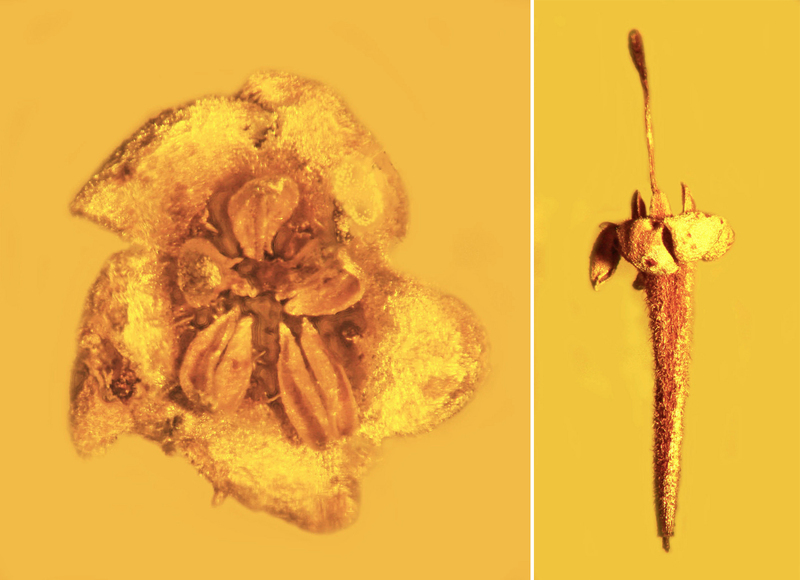 A flower found in up to 30-million-year-old fossilized amber has been confirmed as a unique Asterid species, as well as its oldest known member. Researchers are also rather confident the well-preserved bloom was poisonous and belongs to the notoriously fatal Strychnos genus. Though the flower's identity was only recently learned, the discovery of the preserved specimen was made in the Dominican Republic roughly 30 years ago. Scientists involved in the study believe that may be one of the places where toxic varieties of Asterids first developed. The transformation from benign, delicate flower to stealthy killer was likely motivated by the need for self-preservation.